It’s a beautiful thing, right? Holding those bright red babies in your hands? 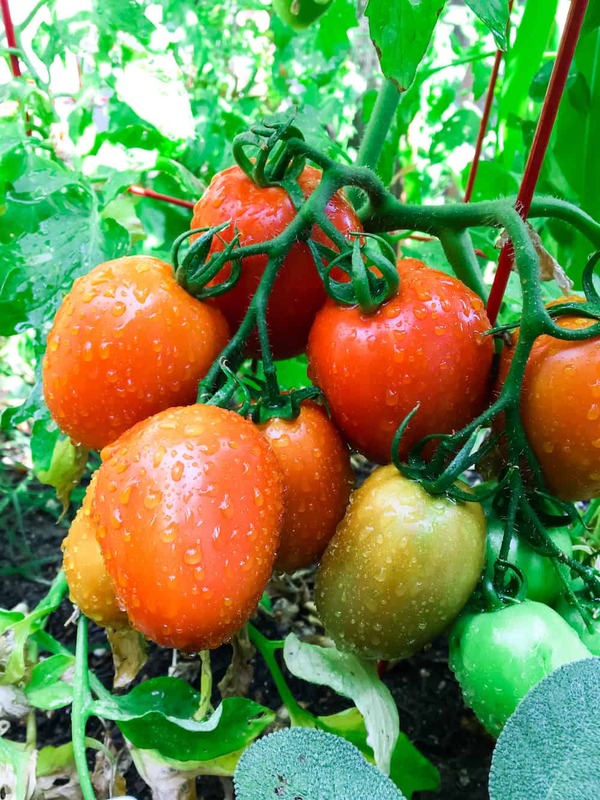 I’m just chomping at the bit for tomato recipes as all of my varieties start giving up their sweet fruit. Of course you can save your tomatoes for later in the year by canning them – just head over to our ever-popular post on How to Can Tomatoes (Without a Canner). 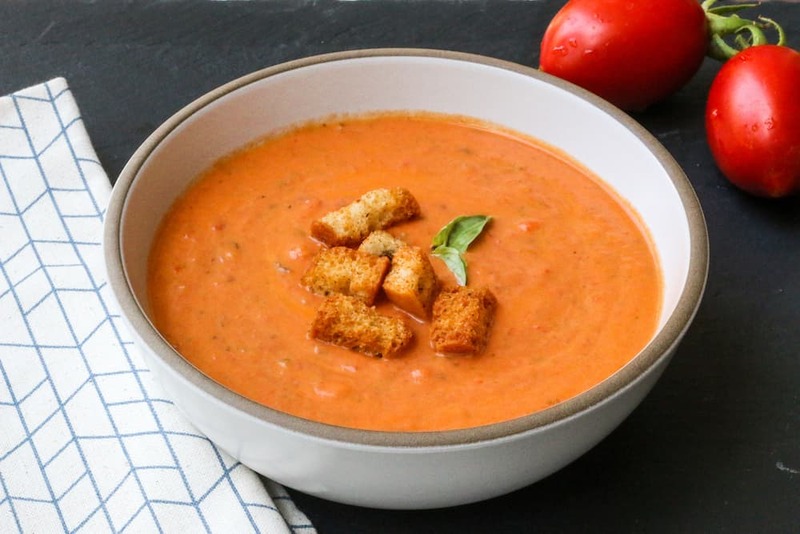 If you aren’t feeling up to all the work (it’s easy, but time consuming), go ahead and make this fresh tomato soup recipe. 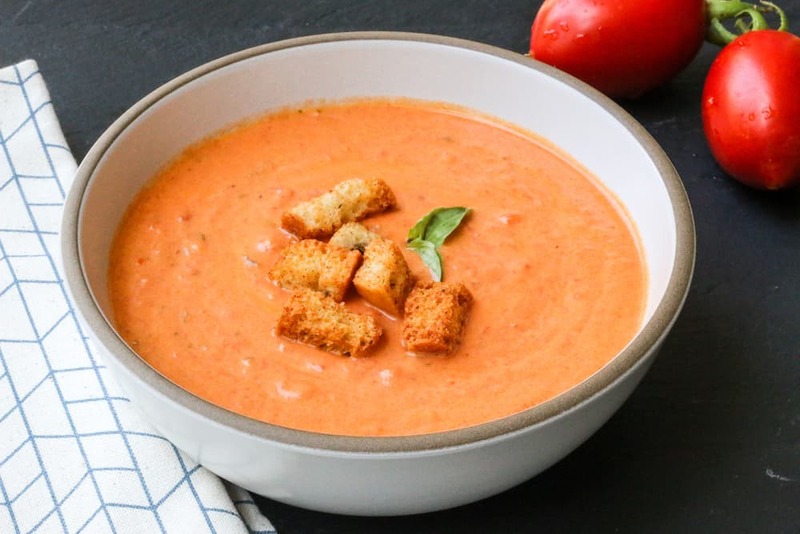 Most recipes call for canned tomatoes, and that’s great, but why not make some cozy delicious tomato soup with fresh tomatoes? It’s easy and extra tasty, I promise, but the technique is a little different. I made this recipe for soup from fresh tomatoes for my in-laws, nieces, and nephews with some grilled cheese paninis last weekend and they all told me I should start selling the soup. I feel like selling soup is hard, but making soup is easy. So here’s my recipe for Tomato Soup from Fresh Tomatoes. Mess around with it as you will, to suit your tastes, but this is a good basic starting point and just the way my family likes it. 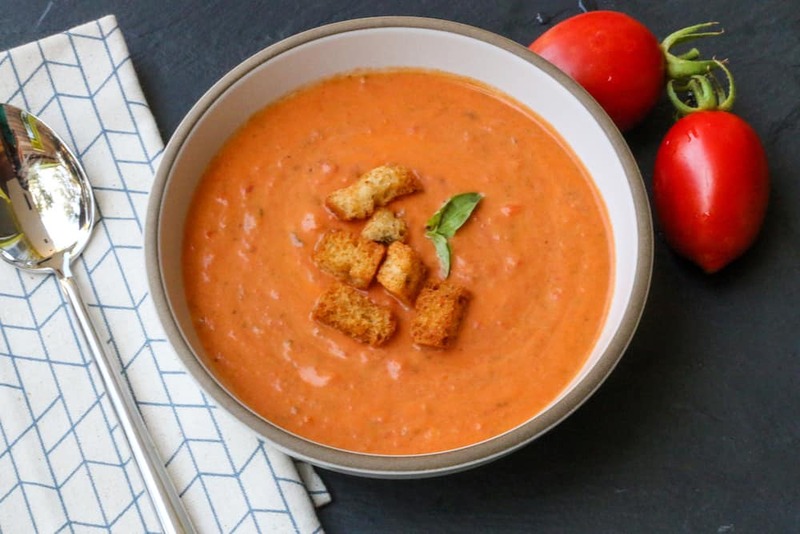 A rich, creamy tomato soup made from fresh tomatoes. 1. Heat oil in a dutch oven or stock pot until shimmering. Add onions and carrots and saute until very soft and onions are translucent or even starting to carmelize (turn a golden yellow). 2. Add garlic and cook until fragrant, about a minute. 3. Add the tomatoes and their juices, sugar, basil, chicken stock, salt and pepper. Stir to combine. 4. Bring to a boil then lower the heat and simmer for 40 minutes or so. 5. Turn off the heat. Use an immersion blender to blend together (If you don’t have an immersion blender, you can carefully remove to a food processor or powerful blender in batches then return to the pot). 6. Stir in heavy cream. Serve with croutons and some basil for garnish. Add some grilled cheese sandwiches for a filling, cozy meal. I love tomato soup, and this recipe was perfect. thank you so much for sharing it! great recipe! my family loved it!! This is so great! I never knew how to make fresh tomatoes into soup – I tried it and it was perfect. Thanks! Thank you for the recipe! My mom gave me a basket of tomatoes yesterday and I wasn’t really sure what to do with so many until I saw this. Love it! Is there a way to save the soup after it’s made? Ie: freezing or canning?